I started laying out this build to replace my existing media server (i.e. Plex, PlayOn) used by my family since 2008. The initial server started out as a Windows Media Center server and migrated to Plex/PlayOn in 2015. Over time, I replace HDs, and upgraded the processor, but figured it was time for a full replacement before the motherboard decided to give it up after nearly 9 years. The primary goal of this build was to have a powerhouse media server that could host up to 5 transcoding streams at a time. Now, the VAST majority of my media can be direct played, but I like to play the "what-if" scenario if my high water mark of concurrent streams all were streaming stuff that happened to need transcoding. The secondary goal was to double the existing storage capacity INTERNAL to the box. This should allow for about 2 maybe 3 years of growth, then I can look at external storage enclosures at that point. The third goal was to decrease the footprint of the physical server. The existing box was HUGE, full tower on wheels with about 12 drive bays. With the capacity size of hard drives now a days, that seemed like overkill now. The final goal was sound, it needed to be fairly quiet as I wanted to put it in my living room. The pictures are not complete, as once I started cabling I realized, I am going to need to come back and get some shorter custom SATA cables (both data and power) to help clean up the case (so no post-cabling shots yet). I did buy shorter cables as part of this build, but they were still not short enough. Will try again now I can take measurements and be more exact that just getting 6" cables. Fractal Design Node 304 Case - This case is really nice, it allowed me to meet all my goals. The construction of the box is very nice, and works surprisingly well for how small it is. As you see in the parts list, I had 5 hard drives (2 SSD and 3 WD Reds), but I only used the enclosed storage mounts for the WD Reds using 2 of the 3 mounts (leaving the middle open). The SSDs were mounted on the front of the case (behind the front panel) and on top of the power supply between the 2 hard drive mounts with velcro. 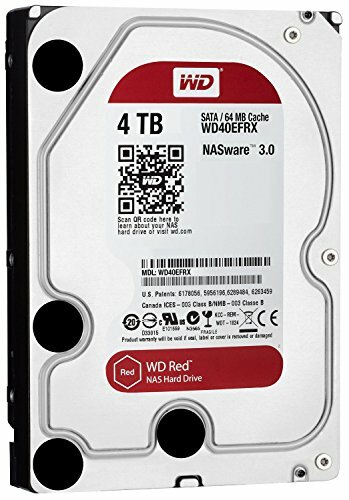 Likely will add a 4th WD Red in the near future when they go on sale. Don't need it immediately to do what I need to do, but left room to add one more when the price is right. The SSDs are for OS (240gb) and Apps (120gb -- i.e. Plex database/metadata), while the WD Reds store the media files. 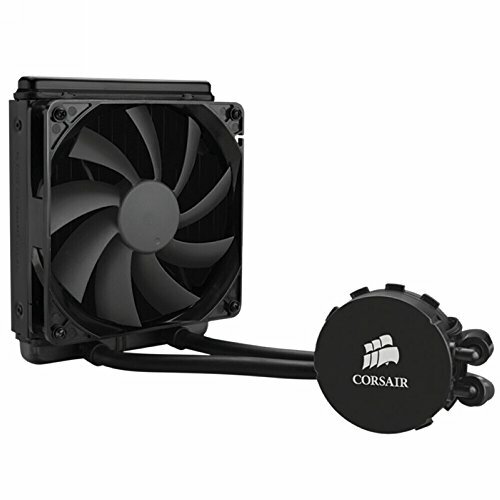 Corsair H90 Liquid CPU Cooler - was on the fence if I wanted to go this route, but I figured fewer on board fans should make this quieter. This turned out to be a really nice new item for me. I had never used liquid cooling before, and to get it to work with the 1151 motherboard mounts took a while to understand the assembly of the mount, but once figured out it has worked out really well. Keeps the processor very cool, highly recommend. The only knock I have on this is the instructions were NOT intuitive to me especially for the 1151 board and how to make the mount work (i.e. lock) around the cooler itself. I ended up looking for a video on YouTube that was very helpful on how to configure it to make it work. The rest of the parts are pretty self explanatory, no need to go into details. Any parts with a cost of $0.00, I got for "free" using some credit card points that I had built up over the last few years. Internal case temps with this setup are acceptable, typically running less than 36c (96f). CPU temps under some load less than 32c (90f) and I've seen up to 38c (100f) under heavy load. The only thing I wish I had done was to get a small form factor (SFX) power supply. That would have allowed a little more room to work with in the case. The build assistant on here wants to balk at those for compatibility with the Node 304, but I think it would work out better. My guess on why is that maybe the PS would be semi "suspended" in air based on needing to use an adapter to lift it up a bit. Not sure if that's the case, but others on here have used SFXs in this case and would know more about that than me. Space is at a premium so anything you can do to get more room to clean up cabling would definitely help. 2017/06/04 Update: Added a Hauppauge Colossus 2 capture card, ended up having to flip the CPU cooler radiator as it was partially blocking the PCI slot. Once flipped there was enough clearance to install the card. Keeps the CPU cool, less noise and leaves room in a mini-ITX build to work around more so than a huge cooler on top of the CPU. The instructions are a little weak, and had to go to a video on YouTube to help understand the proper mount setup for an 1151 board and attaching the locking ring properly. I have been using Gigabyte motherboards for more than 10 years in some 8-10 builds. Rock solid board, with great features. 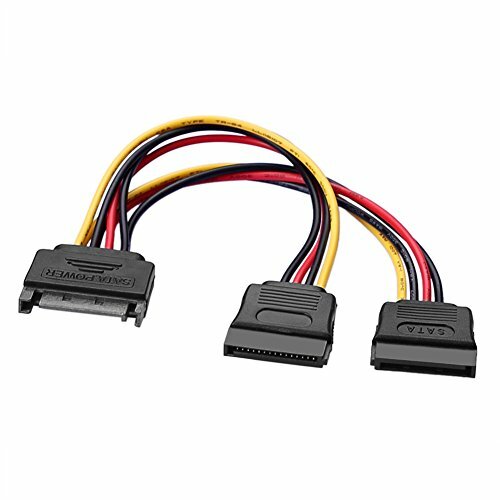 This has 6 SATA3 ports, which was critical to me, and not easy to find on a mini-ITX board. I also wanted to be at the 270 chipset. Great memory, fast and looks good.Solid feel and good price for 16GB. 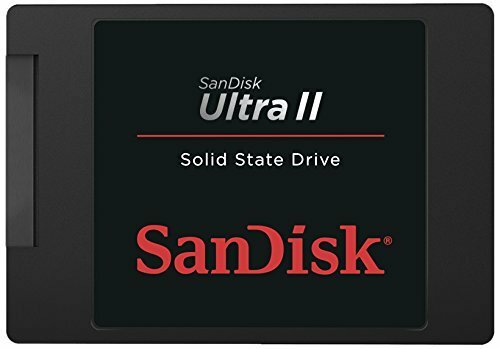 Excellent SSD for a little less money than some of the competitors. Fast, functional and does the job well. 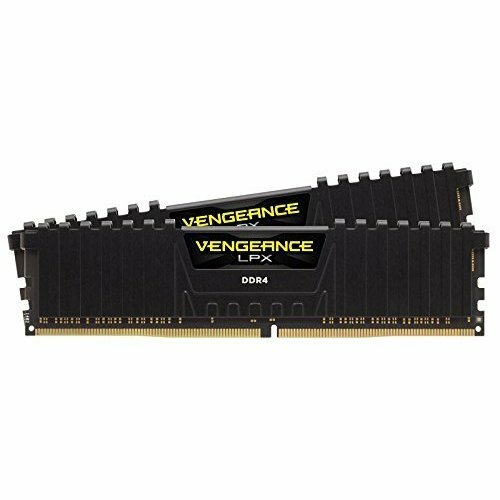 Using as my OS drive, and has the capacity to support the life of this build. Fast and reliable, and costs a few bucks less than the Samsungs. A no brainer when coming to a system that will operate 24/7. The WD Reds are reliable and will last many years. Amazingly compact case that is easy to work within. 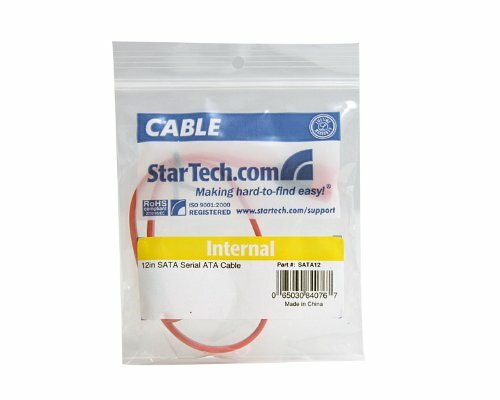 Space is a premium, so be sure to use the custom short cabling whenever possible. A small form factor power supply will work with an adapter, and would highly recommend to help conserve space. This is well built, looks great and has plenty of ventilation/fans to keep it cool inside. Modular power supply, which is critical for a small form factor build. Quiet. Just wish I went with a SFX version instead to help save space in my mini-ITX case. But it still works great, and highly recommend. I think you have a.. umm.. gaping hole in your bank account? Beautiful build! I'm really digging the case! The case is awesome. I am really happy with the choice. Highly recommend for a small footprint build. Please add more pictures when the cabling is cleaned up! How is the noise level on this case with all the HDDs spinning? Been running it since Tuesday in its designed location in the living room, and it is VERY quite. You have to get basically right on top of it to even hear the fans, let alone any hard drives spinning. Hi, Your CPU gets 4.2GHz on all cores while gaming or when doing intensive tasks? From what I understand, and I have not validated this myself yet by observation, but it has a boost clock of 4.2GHz . I am told that is only on 1 core, and when all cores are maxed out it is lower, I've heard around 3.9GHz. Hi, My temps are high too, that's why I'm asking you about your temps to see if it's only me with this temp problem. I have 70-75-80C while playing games. We all know that Kaby Lake is hotter than others so, maybe I will delidding the CPU to decrease temps and to see if the CPU can jump to 4.2GHz. I had an Asus H270F with a Cryorig H7 and I saw 4.2GHz while playing games but now, I see just 4.0GHz. What about the GHz of the processor, your cpu hits 4.2ghz? Because it runs headless, and I don't really monitor its performance that closely outside of heat, I don't have any valid data to say it hits 4.2ghz. Likely not though based on the role as a media server.